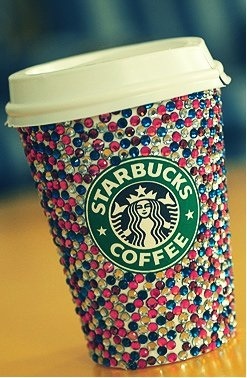 Glittery Starbucks!. . Wallpaper and background images in the Starbucks club tagged: starbucks starbucks coffees coffee glitter.